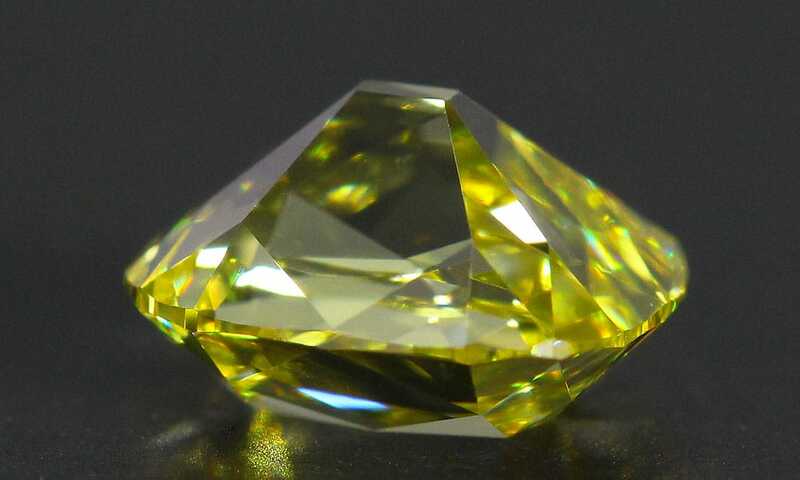 Antique Old Mine Cut Diamonds are a rare breed in themselves, finding such Diamonds in natural canary yellow is much rarer event. Presently Antique Diamonds are found mainly in the lighter to darker yellowish/cape colors. Most of the colorless and fancy colored ones were re-shaped into modern faceting due to the natural cut evolution ongoing for the last century (More on this Here). This beautiful and elegant Old Mine Cut was cut and polished from rare natural colored rough. 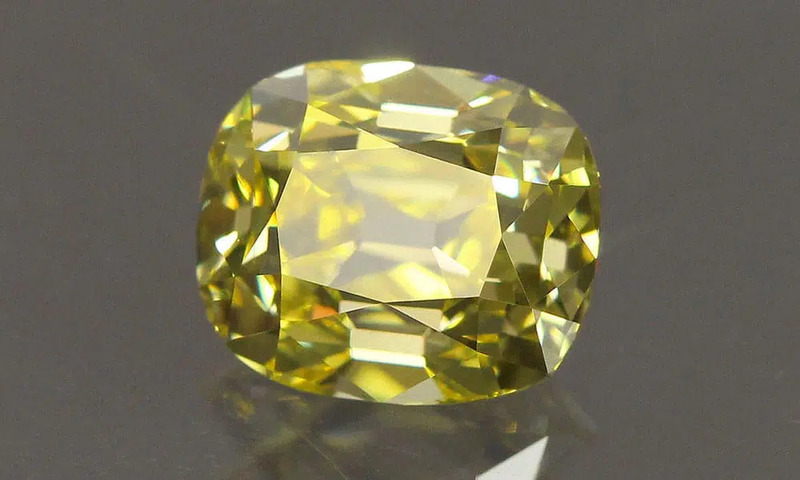 Designed into a slightly elongated (1:1.18 ratio) three quarter carat which displays a prominent and evenly spread “citron” color, a hue which is very sought after. Unlike their modern counterparts which are designed and cut to exhibit color retention at the cost of light return, this Diamond was cut to display its true body color, and at the same time wasn’t compromised as far as its play-of-light. It exhibits a balance of both, but more importantly large “blocky flashes” of light as expected from Antique Diamonds. This Old Mine Cut displays a beautiful high crown which blends with its small table emphasizing its three dimensional sculptured effect, a treat which allows visual enjoyment of its rare color from all directions. It also possesses a very large culet responsible for the prominent “Kozibe” effect, a reflective spread of the open culet through the crown area of the Diamond. Dimensions: 5.72 x 4.82 x 3.44mm.